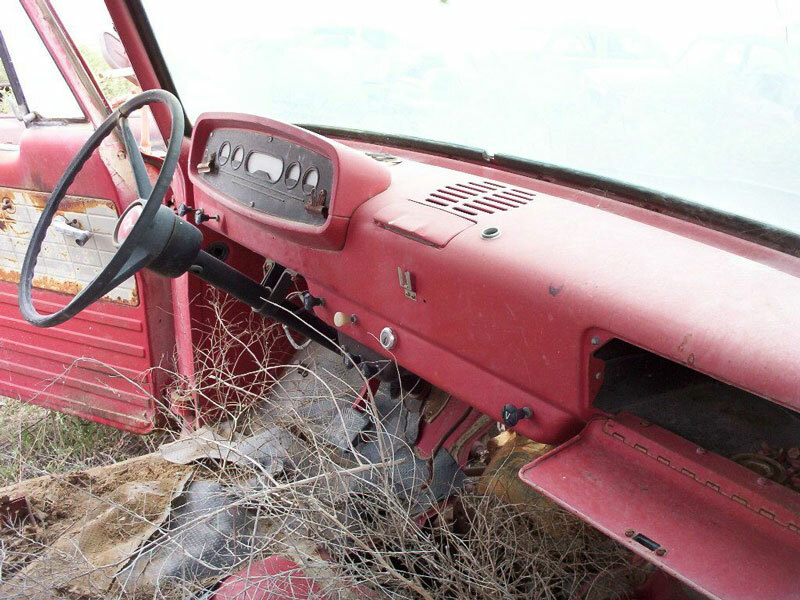 This red 1963 Dodge D100 Sweepline 1/2 ton pickup truck is a very straight, solid farm truck ready to be restored. The top is dented and there are a few small dents here and there. The front bumper is bent. It has a heavy-duty rear bumper. The box and tail gate are good. The grill has some bends and dents. The hood is missing. The windshield is broken. The dash and gauges are all there. The floors are solid. The seat is missing. The transmission floor pan is gone. The 170 CID slant OHV inline six cylinder motor has been stripped to the block. 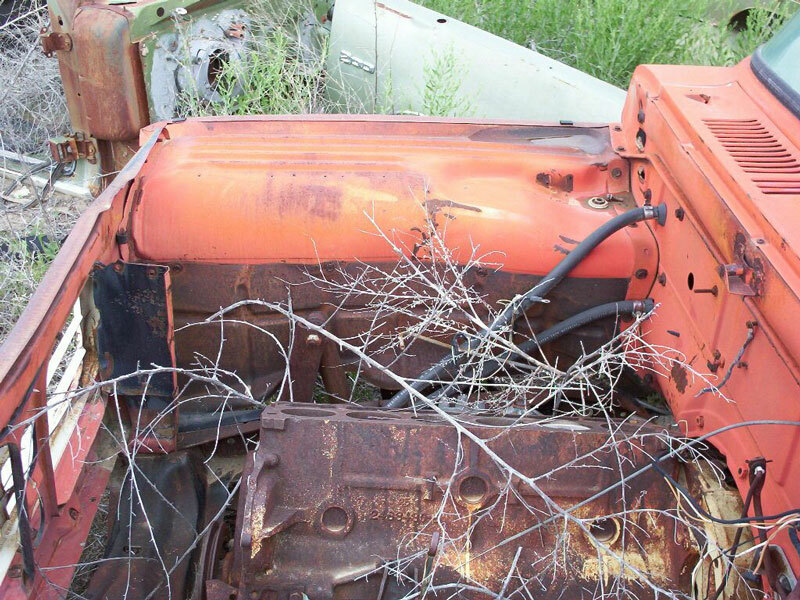 Some of the motor parts are in the back. The manual transmission is missing. The front brakes are gone. We will find some non-stock drums and get it rolling for shipment. 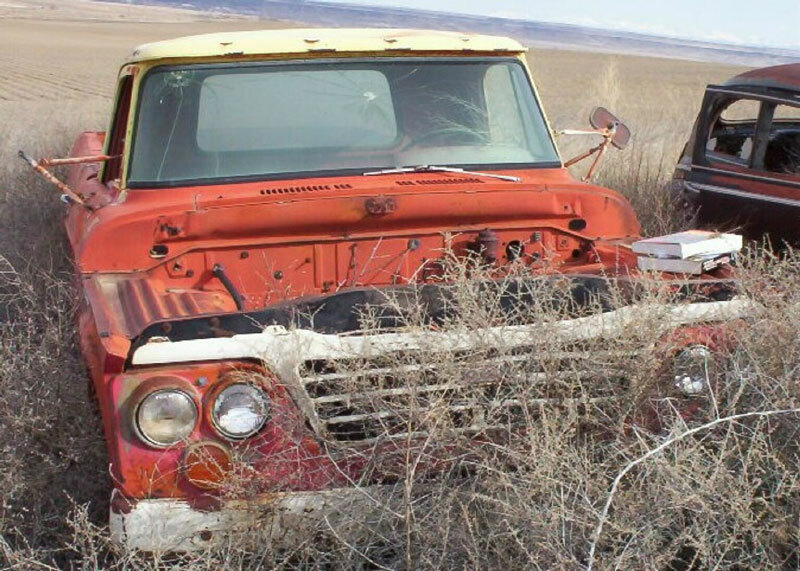 This is a very solid, straight truck that will not require much body work. 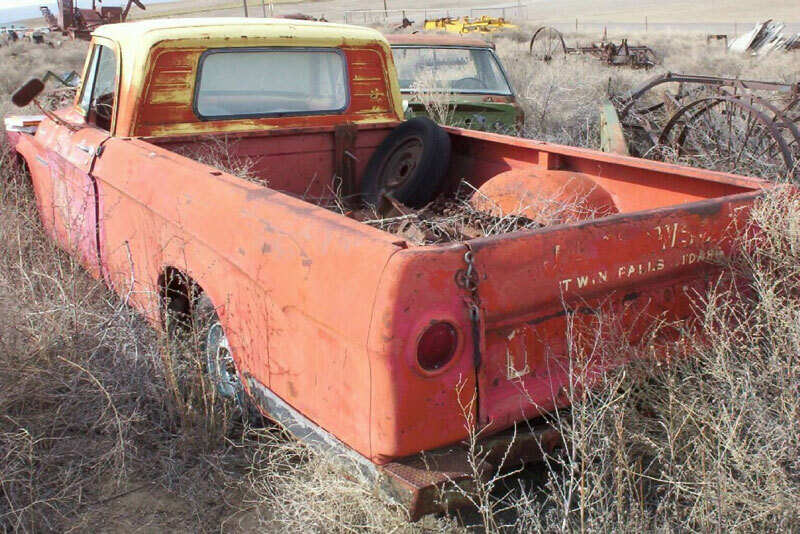 Please call (406) 318-0270l for details about this restorable classic project truck.